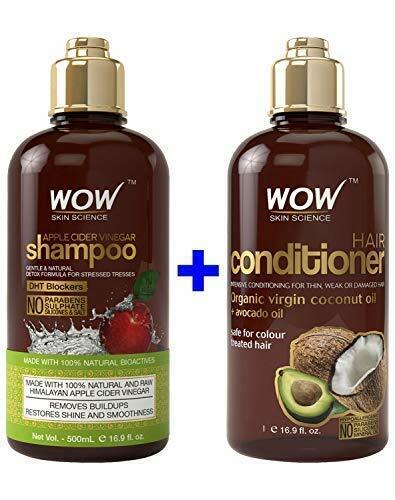 WOW Apple Cider Vinegar Shampoo and WOW Coco-Avocado Conditioner Set – The Perfect Duo For Your Hair. Our premium shampoo and conditioner set infused with botanicals to clarify and rebuild contains no harsh and harmful chemical sulfates, parabens, or silicones and can deliver salon+ level results at home in weeks. 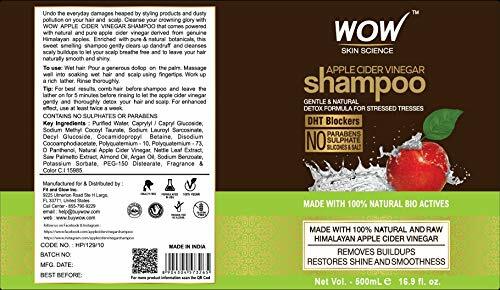 1 Apple Cider Vinegar Shampoo (12 fl oz.) 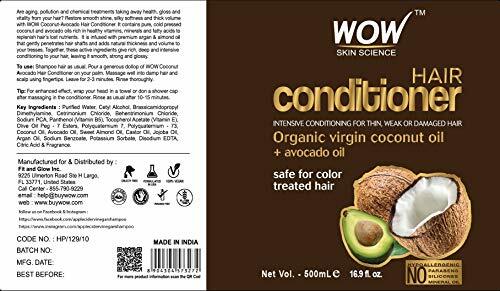 1 WOW Coconut Avocado Conditioner (12 fl oz. 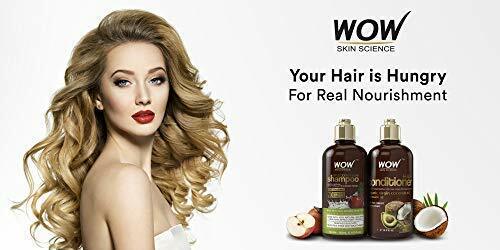 )REPAIR DAMAGED HAIR: WOW shampoo and conditioner set uses virgin coconut and avocado oil to rejuvenate weak, thin, or damaged hair or dry scalp. The formulation of both oils replenish lost nutrition that’s vital in keeping strong, smooth hair. STRONG, HEALTHY HAIR: Detoxify your hair and dry scalp to clear the buildups caused by dirt, filth, and style products. Apple cider vinegar removes toxin that damages hair. Rich super antioxidant protection supports healthier hair growth for men and women. 100% MONEY BACK GUARANTEE – Our WOW hair products come with a risk-free money back, no questions asked, refund policy. Our hair treatment shampoo is backed up by our money back guarantee to ensure our customers’ complete satisfaction! MAXIMIZE HAIR STRENGTH: Improve your hair-cleansing routine by using both simultaneously to get the best long-lasting results. Enriched with proteins, fatty acids, vitamins B5 & E, and saw palmetto to help strengthen hair. Supports hair growth. 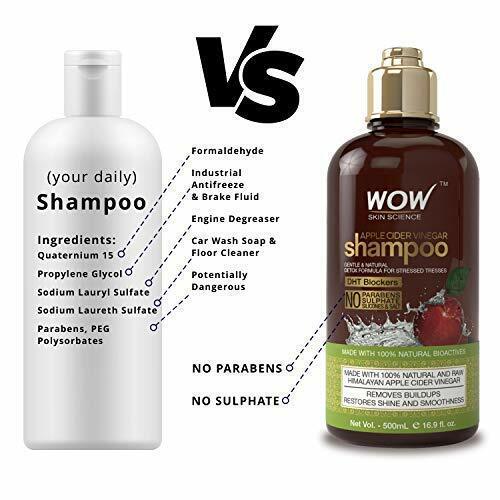 ALL NATURAL INGREDIENTS: WOW uses all natural ingredients, free from harmful chemicals. The shampoo & conditioner is hypoallergenic, sulfate and paraben free for moisturized hair. Less prone to breakage, split ends, and thinning hair. Cruelty Free.